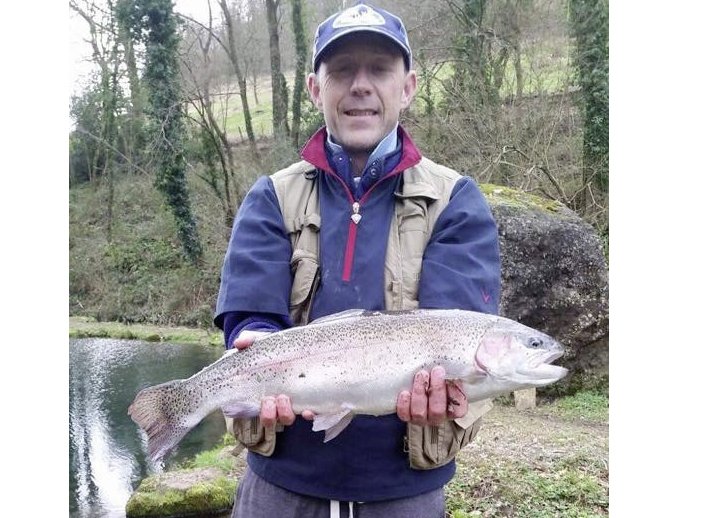 Alan Thompson from Ashington landed this 6lb 1oz Rainbow from Long Crag at Thrunton fishery using a Diawl Bach. 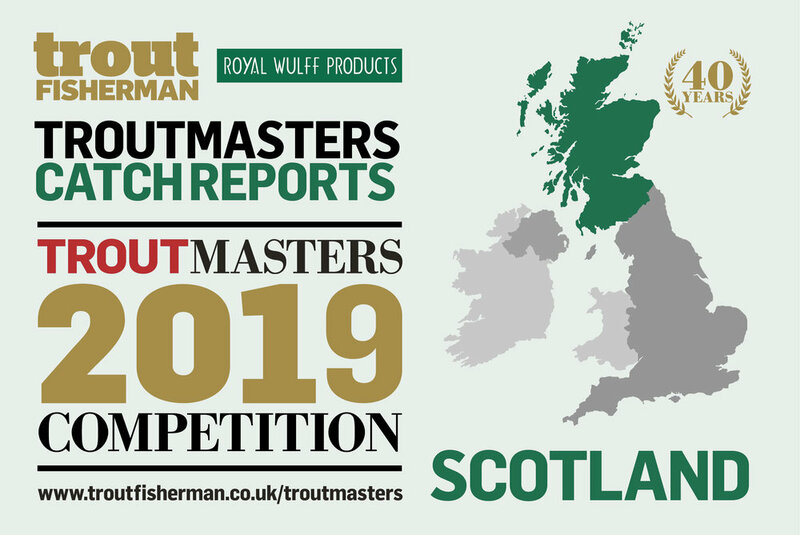 A week of mixed results due to the weather, especially the high winds which made casting very difficult. Catch of the week went to Martin Smith who had 10 fish using Damsels. Restocked on February 12 with a few large fish (over 6lb) added to the order. Weather is set to be ide-al so fishing conditions will be great. The opening weekend of February 9-10 saw the 38 anglers catch 470 fish of which 418 were returned. 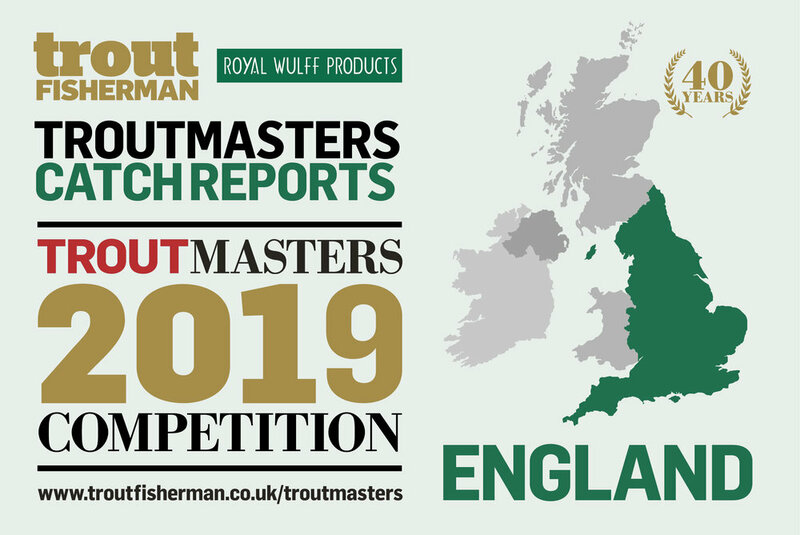 Best fish 5lb 14oz to Clive Trundle, from Silverstone, on a white/green lure; 5lb 12oz Rob Armitage, Cam-bridge, Cat’s Whisker; 5lb 9oz Mike Edwards, Nether Heyford, Orange Blob; 5lb 8oz Steve Cracknell, Huntingdon, white/green lure; 5lb 3oz Clive Trundle, Silverstone, black/green lure; 4lb 14oz Sean Roe, Ket-tering, black/green lure; 4lb 12oz Scott Bowman, Weedon, Cat’s Whisker. Best patterns white/green or black/green lures, Goldhead Damsel, Red Apps’, GRHE. 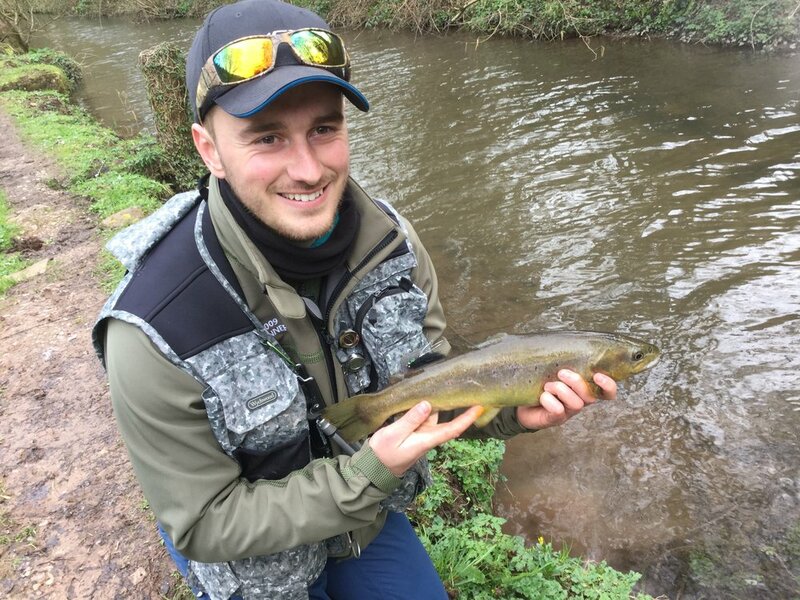 A gale on Saturday and rain on Sunday re-sulted in fewer anglers than usual but the bank fishing was su-perb. Most anglers used lures fished slowly 2 to 5 feet down. The water remains clear so the fish will soon wise up to lures. Nymphs that have worked include Red Apps’, GRHE and Olive Buzzer. Plenty of 3lb-plus fish being caught. The few boats that went out caught well as long as they fished close to the bank or over shallow water. Next stocking Feb-ruary 15. 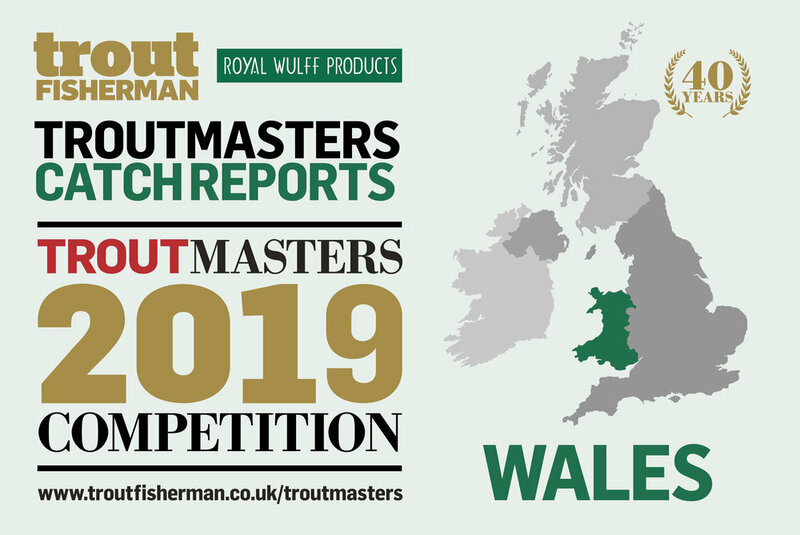 The slightly milder conditions have provided anglers with the opportuni-ty to be fishing high in the water this week. One angler managed to safely release 10 fish using Black Gnats during his 6-hour session. The shallow bays on Long Crag have proved to be very productive with most of the larger bag numbers coming from those areas at the begin-ning part of the week. 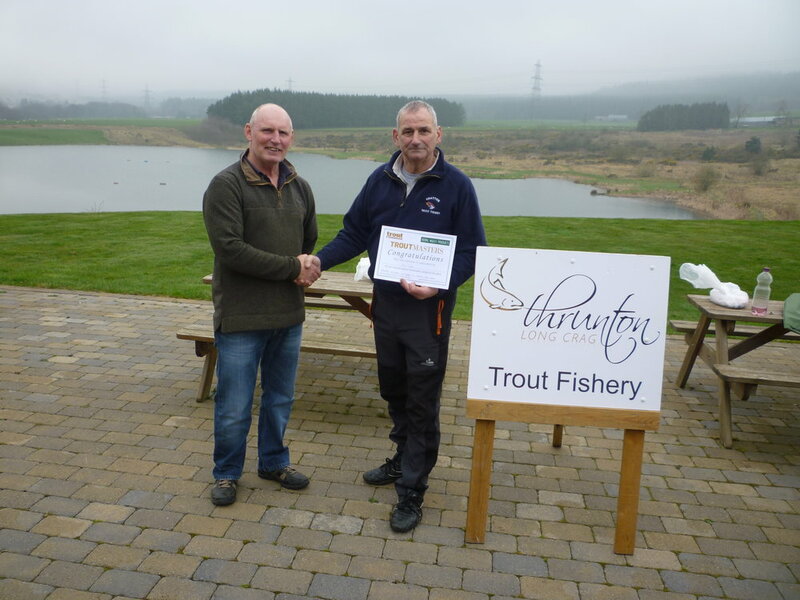 Davy Kay from Morpeth landed 15 fish between both lakes using lures over his two visits. Ken Glenton from Ashington had a 'good day' returning 10 fish to Long Crag using Black Gnats. Al-ec Harvey from Cramlington safely released 11 fish to Long Crag using Apps’ Bloodworms and nymphs, having a 'great day'. Longframlington angler Trevor Wadds safely released 10 fish to Long Crag using Bloodworms and Diawl Bachs. Matty Devine from Hadston had a 'good day' returning 11 fish between both lakes using lures. Steve Kelly safe-ly returned 11 fish to Long Crag using a Foam Beetle and a Black Buzzer. M. Richards used Yellow Dancers to safely return 9 fish to Coe Crag. Jaime Scott from Alnwick landed 7 fish between both lakes using lures. Mikey Fullerton from Consett landed 7 fish from Coe Crag using Buzzers. Rob Hall from Morpeth, had a 'great day' landing 7 fish from Long Crag using a Bunny Leech. Rob also landed one fish at 8lb. Kevin Dinning safely returned 6 fish to Long Crag using Apps’ Worms. Stew-art Younger landed 7 fish between both lakes using Diawl Bachs. Fly Box: Black Gnats, Apps’ Bloodworms, Buzzers, Foam Beetle, Diawl Bachs, Yellow Dancers and Bunny Leeches. Open daily 8.30am to 4pm. Long Crag will be closed on February 16 for a TEFF fundraising competition. Coe Crag will remain open as usu-al. The Fishery will also be closed on February 23-24 for a Fritz ‘n’ Flies competition. Apologies for any inconvenience caused to our regu-lar anglers. Dylan Thomas caught this 6lb rainbow at Bigwell fishery. A very cold week and some snow meant a quieter week with fewer anglers through the gates. But for those that ventured out there was much success as the fish were eager to take a variety of flies. Steve Gray fished only Bloodworms and landed 8 fish. Hughie Wilson caught 7 rainbows plus 1 blue trout on catch and release, mostly using Crunchers and small Black Buzzers. He found success with a very slow retrieve, allowing plenty of time for the flies to fish ‘on the drop’. Adam Price-Hunt caught his bag limit of 10 fish on catch and release at the weekend including a 5lb rainbow from the Lower Lodge pool with a floating line, 4lb leader and a Klinkhamer. 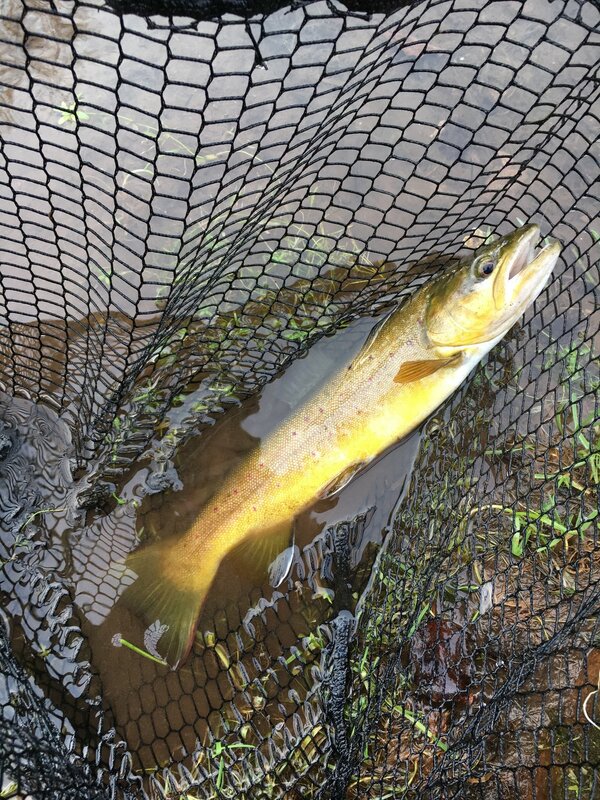 The fish, which was released successfully, has been entered into Troutmasters. Dylan Daniels, Danny Pearce and Paul Legge all caught their bag limits of 10 fish on catch and release. Colin Gooch landed 7, Harry Webb 2, and Basil Freeman 2. Fishing with his home-tied Snake patterns with a figure-of-eight retrieve Graham Evans landed 6 fish from across all pools. Popular flies this week have been Boodworms, Buzzers, Crunchers, Green Spiders, Egg flies and Klinkhamers. Bigwell is open every day from 7.30am.